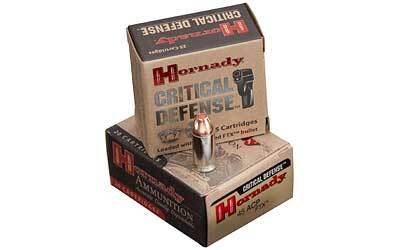 Patented Flex Tip technology eliminates the clogging and inconsistency which often plagues hollow point bullets. Unaffected by thick and heavy clothing, including denim and leather. Loaded with nickel cases to eliminate corrosion and premium low flash propellants that deliver maximum velocity even in very short barreled handguns. Minimal muzzle flash protects night vision.